Damage & -1 counters to indestructible creatures? Revel in Riches can also be a good win con since your focusing on targetted removal or creatures dying. 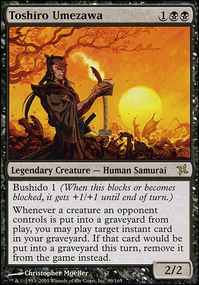 seshiro_of_the_orochi I would definitely add in a bit more ramp so you would be able to cast more spells. 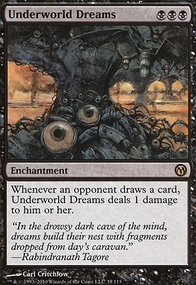 Some recommendation I would add are Fatal Push, Cremate (So they can't reanimate their creature plus cantrip), Bile Blight (tech against tokens), Victim of the night, Hero's Downfall, Sudden Spoiling (absolutely love this card), Geth's Verdict, and Vona's Hunger. 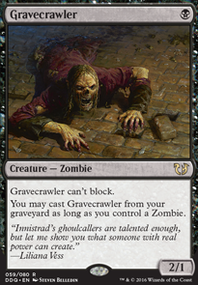 Some ramp or resources I would also add in would be Crypt Ghast, Nirkana Revenant, Cabal Coffers, Caged Sun just to name a few. Overall, this deck is a bit directionless. It's a mix of decent cards, but not too much synergy between them. That's fine in many kitchen table settings, but will be problematic in more competitive environments. Lifegain alone isn't a great victory condition in competitive environments, as it tends to scale poorly in longer battles. I think you can stand to add some better interaction - you need some early-game kill spells. Bile Blight on its own will not get the job done, and Stab Wound is not all that great. 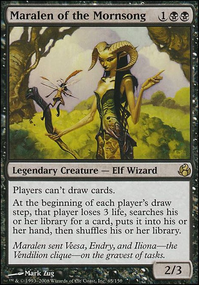 Black has access to some great budget kill spells, such as Victim of Night, which can be used to remove even large creatures. Radiant Fountain doesn't do much for you. It is slow mana, and might hurt your ability to play two colours. Two life is insubstantial--after all, players are willing to burn two life for Overgrown Tomb without a second thought. TypicalTimmy - the text of the card (and the rules) are very clear--it is one search. You're not looking through your library multiple times--you're looking through the library once and pulling out multiple cards. APPLE01DOJ i generally don't like the idea of splashing green. Blood Moon is enough of a threat that I don't want to chance it. Cards like Engineered Explosives are on the mind for getting rid of the troublesome artifacts, but that is an expensive option. 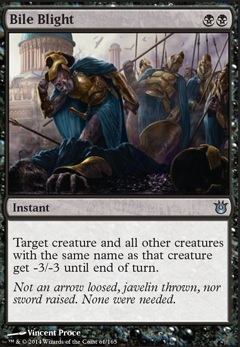 My thought is that if it comes to it, I can try to put in the maximum amount of hand disruption possible with cards like Collective Brutality. I added the Fatal Push you recommended to the main board and decided to keep two of the Bile Blight in making for a decent removal package. Admit tingly, I am a bit hesitant to take out too many creatures.